Interested in a paleo diet, but aren’t sure what to eat, how to start and whether it’s healthy? This thorough guide will answer all your questions. Scroll down to learn more about the paleo diet, get informed about foods to eat or avoid, and so much more. Paleo is just like other diet fads. Paleo is all about meat. Eliminating entire food groups is unhealthy. Paleo is for men only. I will develop calcium deficiency if I don’t eat dairy. The Paleolithic, or paleo, diet emulates or mimics the diet of hunters and gatherers, our ancestors who lived thousands or millions of years ago. The diet is based on the knowledge that humans back then were healthier and stronger, free of many diseases that affect us today. Also referred to as caveman or stone-age diet, paleo is more than an eating program, advocates consider it a lifestyle based on the fact it also promotes regular exercise, getting enough sleep, and stress management. While it’s easy to assume that the paleo diet is a novel idea, the efforts to adhere to primitive diet have been around for decades. For many years it has been theorized that our ancestors had a healthier diet than we do today. That’s why they were free of diseases, obesity, and other problems. However, the term paleo diet became known in 2002 in The Paleo Diet book authored by Loren Cordain, an American scientist. We’re used to the fact that most diets nowadays are unhealthy. Yes, they’re popular, but they offer no nutritional support the body needs to remain healthy. Paleo diet is entirely different! Foods you consume in paleo diet supply the body with a wide spectrum of vitamins, minerals, antioxidants, proteins, healthy fats, fiber, and other important nutrients you need for good health. The popularity of the paleo diet isn’t an accident, but an expected course of events based on the efficacy of this type of lifestyle. Various studies have confirmed that paleo is, indeed, healthier and more effective than other eating patterns. Paleo diet has been a subject of various scientific studies that evaluated its efficacy, and it’s safe to say we can expect many other studies in the near future. An important benefit of the paleo diet is that aids management of type 2 diabetes. In a study from the Journal of Diabetes Science and Technology scientists found that paleo diet improved glycemic control and various cardiovascular risk factors in patients with type 2 diabetes. Research from Diabetologia found that a paleo diet led to a greater improvement in waist circumference, glycemic control, weight loss, and glucose management compared to the Mediterranean diet. Adherence to a paleo diet also shows favorable effects on the management of metabolic syndrome unlike diets from a control group, according to a study from the American Journal of Clinical Nutrition. One reason why people start with paleo is that they hope it will help them slim down or keep it off. Weight loss benefits of paleo aren’t a myth, but a reality and science have confirmed it. The European Journal of Clinical Nutrition published a study where the main objective was to evaluate the effects of the paleo diet. Scientists found that weight decreased by 5lbs while BMI lowered by 0.8 and waist circumference reduced by 0.6 in three weeks. A study published in the Journal of Internal Medicine included ten healthy women with BMI over 27 and found that ladies lost on average 9.9lbs and had 3.1 inches reduction in waist circumference in five weeks. Since paleo lifestyle also promotes regular exercise and it eliminates foods that are too high in calories, it’s not uncommon why it can help persons lose weight or keep it in a healthy range. The reason why some people are reluctant to start with paleo diet is that they believe in some myths about this lifestyle. Similarly to other eating programs, the paleo diet is also highly misunderstood, but we’re going to change that now. Here are the most common myths about paleo diet that you shouldn’t believe in anymore. Diet fads are so common nowadays that people easily assume some reliable diets are just a trend that will disappear soon. As mentioned above, paleo is not just a diet, and it’s a lifestyle. This lifestyle is based on healthy living and consumption of food sources that allowed humans to develop and thrive. We can easily consider paleo as an anti-fad diet, not the other way around. Not true. Scroll down to see the list of paleo foods, and you’ll notice it doesn’t include meat only. Paleo also revolves around the intake of vegetables, fruits, nuts, seeds, among other things. We’re led to believe that paleo may not be the wisest choice because it involves eliminating certain food groups. The reality is different, though. Food groups that you need to eliminate in the paleo diet are those that were introduced in human nutrition recently. So, humans have not only survived, but also thrived without those foods. While the paleo diet is more popular among men, it has nothing to do with its influence on women. Generally speaking, both men and women can benefit from a paleo lifestyle. What many people aren’t aware of is that dairy is not the only source of calcium. You can obtain it from produce too as well as from fish and other sources. Atkins is a popular low-carb diet where people eat all the fat and protein they want, but they avoid carbohydrates. Both Atkins and paleo promote the consumption of meat, fruits, and vegetables. While paleo is a lifestyle that comes with many health benefits, Atkins is more of a weight loss program. Atkins involves various phases through which you need to go, while paleo is easier to follow. Although Atkins diet promotes intake of meat, its origin isn’t that important while paleo is different (see food list below). Paleo omits grains while some phases of Atkins do involve this food group. In terms of health, paleo is a better approach because it’s focused on your overall health and wellbeing. On the other hand, Atkins is more like a diet that people follow for a while to lose weight and that’s it. Keto diet focuses on inducing ketosis through the calculated adjustment of dietary macronutrients (fats, carbs, and proteins). Ketosis is a metabolic state wherein the body utilizes calories from fat instead of carbs to produce the energy you need to function properly. Keto and paleo diets have similarities and differences. Main similarities of keto and paleo are that both diets emphasize consumption of whole foods and they eliminate legumes and grains. In addition, both keto and paleo promote intake of healthy fats while banning sugar. The biggest difference between the two diets is that paleo is more focused on ideology while keto is all about macronutrient adjustment. Unlike a ketogenic diet, paleo lifestyle is more about food choices. While you eliminate some food groups, you have the liberty to balance macronutrients any way you want. Despite the fact that paleo restricts some carb sources, it’s not a low-carb diet in the same way that keto is. On the other hand, keto doesn’t restrict dairy. When compared side by side, paleo is a healthier option because it’s more flexible in terms of food choices. To avoid these problems, take your time and make sure you’re ready to start with paleo. Plan your meals, eat enough food, and make other changes in your lifestyle too. All this should be accompanied by reasonable expectations. Staying organized is vital for success with the paleo diet, and this also includes grocery shopping. Here are useful lists to use the next time you head to the grocery store or a supermarket. 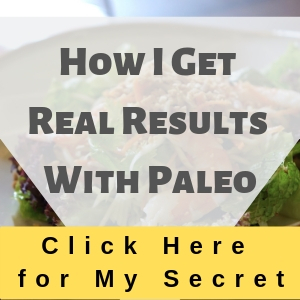 Paleo diet is not a mere eating plan, but a lifestyle that leads to the improvement of your health, better weight management, increased strength, and so much more. Paleo is more versatile than you thought and it’s easy to follow it. It’s needless to mention paleo meals are super delicious.